Rose Quartz Merkaba Star by Natural Agate is 16-22mm in size. You can use it decorate your place. 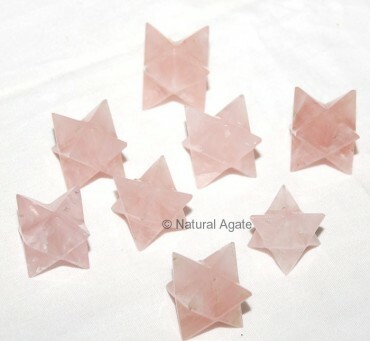 The star made from rose quartz will generate a relaxed environment. It helps to build relations based on love and affection.